The aim of the Dublin City University’s participation in the CLEF 2005 ImageCLEF St Andrew’s Collection task was to explore an alternative approach to exploiting text annotation and content-based retrieval in a novel combined way for pseudo relevance feedback (PRF). 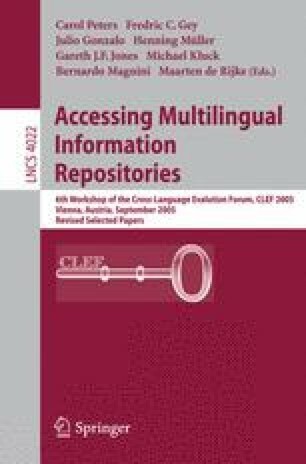 This method combines evidence from retrieved lists generated using text-based and content-based retrieval to determine which documents will be assumed relevant for the PRF process. Unfortunately the experimental results show that while standard text-based PRF improves upon a no feedback text-only baseline, at present our new approach to combining evidence from text-based and content-based retrieval does not give further improvement.